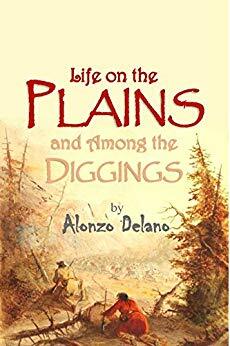 At age 43, after being sick with consumption, Alonzo Delano left his home and loved ones to join the mass of gold-seeking emigrants making the overland journey to California (1849). In Illinois, he sold bank stocks and commodities and lived with his wife and two children; Fred an invalid son of 16 and Harriet, a six-year-old daughter. After surviving the laborious trek and multiple attempts at gold mining, Alonzo settled in Grass Valley where he invested in a quartz mine and returned to banking and selling merchandise. 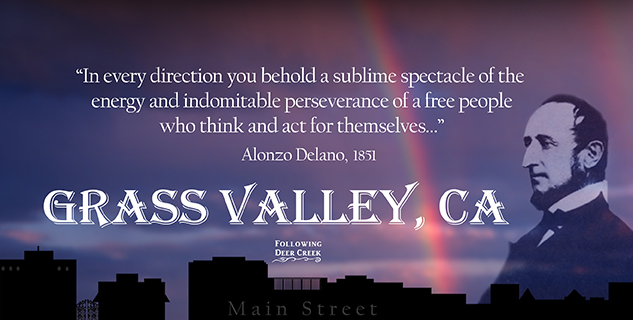 In 1855 two events occurred that caused great upset for the people of Grass Valley, allowing Delano to demonstrate compassionate leadership and his ability to focus a dispirited community on a hopeful future. A drought in 1854 limited water availability. Mines struggled to keep working and miners couldn’t pay their debts. Real estate prices crashed. The nation’s leading bank (not Wells Fargo) made an investment in a railroad that failed. A month later Delano was elected the first Treasurer of Grass Valley. Seven months went by before the second disaster struck. A terrible fire leveled at least 300 buildings, leaving thousands homeless. “Give my love to all my friends. Tell them I was not afraid to die, and that I left the earth without ill feeling toward anybody,” Alonzo made this deathbed appeal to his wife. Traveling somewhere between 15 – 20 miles per day, the overland journey took five months. At dinnertime, Alonzo journaled about the events of his day. Sickness, starvation, thirst, and death became common experiences. Delano’s keen observations provide a window in time that shows travel conditions, food, finding water, wild animals, Indians, and the open expanse of the Sacramento Valley. 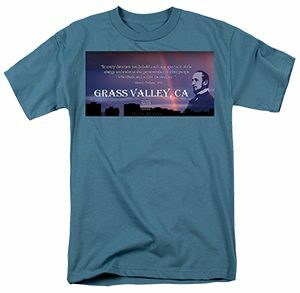 Below are selected excerpts from Life on the Plains and Among the Diggings [1849 – 1854] as well as additional Delano writings that give the reader a 318° view of Gold Rush life and early California and Nevada County. …since the invasion of Rome by the Goths, such a deluge of mortals had not been witnessed, as now pouring from the States to the various points of departure for the golden shores of California. We discovered that we had been imposed upon in St. Louis in the purchase of our bacon, for it began to exhibit more signs of life than we had bargained for. It became necessary to scrape and smoke it, in order to get rid of its tendency to walk in insect form. I did not wonder that the aborigines were attached to their delightful country, and had it been mine, I should have defended my possessions against the encroachment of any lawless intruder. I learned that three miles beyond there was a spring. It was nearly sunset when I again entered the deep wood, but my anxiety to get in sight of the abodes of civilized man impelled me forward, choosing to risk a night alone in the woods, among the wild beasts which swarmed in that region, rather than not gain the distance. Ascending to the top of an inclined plane, the long-wished-for and welcome valley of the Sacramento, lay before me, five or six miles distant. How my heart bounded at the view! How every nerve thrilled at the sight! It looked like a grateful haven to the tempest-tossed mariner, and with long strides, regardless of the weariness of my limbs, I plodded on, anxious to set foot upon level ground beyond the barren, mountain desert. In addition to other calamities, many suffered from scurvy and fevers – the consequence of using so much salt or impure provisions, and while many others died, others were made cripples for life. By the earliest arrivals, in June and July, of those emigrants who reached the valley, the sufferings and destitution of those behind were made known, and the government and individuals once more extended the hand of relief. San Francisco, Sacramento City, and Marysville made large contributions, and trains loaded with provisions were dispatched to meet them. In addition to this, traders pushed their way over the snows to Carson’s Creek, and Truckee River and even to the Sink of the Humbolt, with supplies; and although much good was done, and many lives saved, yet aid could not be rendered to all. It was found, too, that talent for business, literary and scientific acquirements, availed little or nothing in a country where strength of muscle was required to raise heavy rocks and dig deep pits. California proved to be a leveler of pride, and everything like aristocracy of employment; indeed, the tables seemed to be turned, for those who labored hard in a business that compared with digging wells and canals at home, and fared worse than the Irish laborer, were those who made the most money in mining. And here I found myself more than two thousand miles from home, in a city which had risen as if by enchantment since I had crossed the Missouri. …spreading our blankets, [we] were soon asleep, despite that howling of the cayotes all around us. 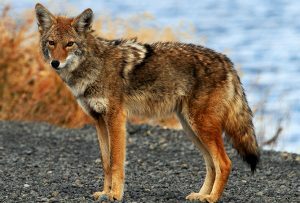 These animals are of the dog species, and appear to be connecting link between the fox and wolf. They frequently go in packs, but rarely attack a man, unless pressed by hunger, which is not often, for the number of horses and carcasses of wild cattle in the valley furnish them food, and they are not looked upon as dangerous. I have seen them stop and play with dogs, which had been set upon them, returning their caresses, and showing no disposition to fight. I was soon looked upon as a friend, and for aught, I know recognized as of the tribe of Oleepa. … among themselves, and with those whom they confide, a more jolly, laughter-loving, carless and good-natured people, do not exist. The air resounded with their merry shouts as we sat around their fires at night when some practical joke was perpetrated, or a funny allusion made. And they were always ready to dance or sing at the slightest intimations, and nothing seemed to give them more pleasure than to have me join in their reactions. To each other, they were uniformly kind, and during the whole of my residence with them, I never saw a quarrel or serious disagreement. …They are already dwindling, for the fire-water and rifle of the white man are doing their work of death, and five years will not pass ere they will become humbled and powerless – a wretched remnant of a large population. About twelve miles nearly west of us, a solitary butte rises from the plain, from fifteen hundred to two thousand feet high, and whose broken, craggy and pointed ridges seem to kiss the clouds. It stands nearly in the center of the plain, equi-distant from the coast range and the Sierra Nevada. …setting his rife against the rock, he [Peter] climbed over the ledge, when, to his horror he found himself facing a huge grizzly bear. The monster sprang upon him at once…tearing his scalp from his head, and biting him in a fearful manner… they both fell off the rock, and rolled down the hill. Peter, in the meantime, making the best use of his knife possible, inflicting several severe wounds upon his adversary. …with the impulse of one inspired, [Peter’s second daughter] sprang towards her father…and with unerring aim, discharged it at the bear. The bullet took effect in the monster’s head, and he fell, stunned if not dead. Instantly she ran and seized her sister’s rifle, and returning placed it against the bear’s ear, and what little life remained soon passed away. Where water is not found in isolated places, canals are dug, sometimes forty or fifty miles long, by which water is carried from some permanent stream along stupendous hill-sides, over ravines and gulches, and around rocks by sluices and flumes, often at vast expense of labor and money – thus arresting the skill, energy, and enterprise of the people who are delving among the mountains; hoping to acquire a competence to smooth the down-hill of life, and render old age comfortable. In the mountains, water-power is abundant for all mechanical purposes, and the noble pines, made into lumber, will form a source of wealth equaled only by its mineral treasures. Thus the failure of the miners was felt far and wide. Wherever we turned, we met with disappointed and disheartened men, and the trails and mountains were alive with those whose hopes had been blasted. Were the personal adventures of a moiety of the emigration of 1850 to be written, they would furnish a volume of absorbing interest, forming a sad commentary on the California gold-seeking mania, which produced more wide-spread misery than any similar occurrence in the annals of mankind. I do not hesitate to declare that no one should emigrate, unless with the intention of making it [California] his home for life. While living in California, Delano was a correspondent for the San Francisco Daily Courier, the Pacific News, The Union, the California Farmer, the Golden Era, the Telegraph, the Hesperian, and Hutchins’ California Magazine. His work also appeared Edwin F. Beans’s History and Directory of Nevada County and the New York Times. In a time when we have plentiful water at the turn of a tap, instant worldwide communication, refrigeration, food safety, health care and emergency services, shelter from weather, planes, trains, and highway systems, it’s good to be reminded of the luxury they represent. It’s valuable to imagine the hardships endured by the brave (or foolish!) 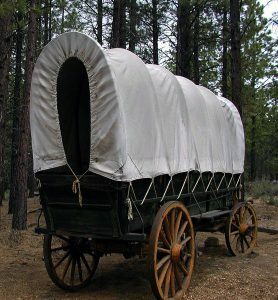 folks who adventured to a remote and distant land in covered wagons and on foot. The level of detail in Delano’s writing is thrilling and mesmerizing, almost like walking the trail beside him. 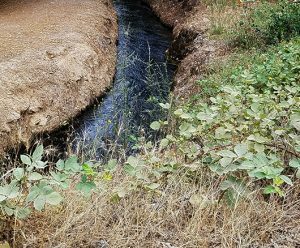 If you liked this post you may also like the Diary of a Forty-Niner, Fleas & Disease in the California Gold Rush or Plants for Healing the Land After Fire.